Match your mailing list to active Facebook and Instagram users. Your target market will see your ad on their Facebook and Instagram newsfeeds BEFORE the mail piece even reaches the mailboxes. This will allow your target market to become familiar with your company and the offer before the mail arrives. This increases the response rate. Know the date your mail is predicted to reach mailboxes. Receive confirmation of mail delivery. Be prepared for phone calls and response from online leads. By using a unique tracking phone number, you will know exactly how many calls were received due to this mailing. All calls will be recorded. You can use the recorded calls to monitor the effectiveness of your sales team, and for training purposes. The mail piece directs prospects to your website or project specific landing page. The website visitor receives a Cookie via Google so that your ads follow the user as they browse other sites. Build brand awareness with your prospects! All website visitors will receive a Cookie on their Facebook and Instagram profiles. Prospects will see your ad on their social media newsfeeds on any device, increasing brand awareness. When mail is projected to deliver. What % of mail has not delivered. The number of calls received from this mailing. All phone numbers of those who called and recording of each call to review. The number of unique visitors who are Facebook users. Age and gender of Facebook users who engaged in your online ad. The number of times your ad has been viewed by prospects who visited your site. The number of times your ad has been clicked. Finally, we can deliver a list of every prospect on your mailing list who visited your website, even if they did not engage in your contact button. We can also capture the street addresses of those who visited your site who were not on your mailing list. These are valuable prospects going forward! Most sales are not made in the first few touches, but instead after 8-12 touches.  SpringDot's Energized Direct Mail will increase your response rate and ROI, as well as provide measurability to know what works and what does not.